Lost in the endless drama that is the Boston Celtics, the widespread panic over the Red Sox abysmal start and the New England Patriots losing players to retirements and owners to rub-and-tug parlors, the Boston Bruins have put together a strong team and seems to be hitting their stride before they head into the NHL playoffs. About a week ago, the Bruins seemed to have fallen into the same place they were last year— they were a good team that lost to great teams and lost winnable games. It seemed that history was going to repeat itself after the Bruins lost three of four to the Tampa Bay Lightning, the lowly Florida Panthers and the Detroit Red Wings. Last year, after the Bruins were shellacked by the Lightning in the regular season and then eventually in the playoffs, the blame was put on their inability to compete with secondary scoring and their lack of effort once they were behind. The difference this year is that even though that the losses were similar, the effort is still there and this B’s team shows fire and determination. Granted, the 5-4 loss to the Lightning stings, especially because the Bruins gave up three third period goals after dominating the second period. There is no shame in saying that the Lightning are the better team and are probably one of the measuring sticks in terms of Stanley Cup contenders. Their captain, Steven Stamkos, is probably the third or fourth best player on that team, which speaks to the insane talent around him. Everyone on the Lightning can score, and they all have exceptional talent at it. The Bruins are a hard team to figure out. Their top line is one of the best in hockey, and even their goaltending has been stellar this season (yes, Tuukka Rask detractors, he has been excellent this season). However, their defense is questionable besides Zdeno Chara, and their secondary scoring, while improved from a year ago, is still a weak point. Boston will be facing the Toronto Maple Leafs after the B’s secures second place in the division and, therefore, home ice in the playoffs, which they had needed the last two times these teams faced off in the playoffs (2013 and 2018). The Bruins match up well, but Toronto has made strides in their game since last year too, notably inking John Tavares and continuing to develop All-Star Auston Matthews. The Leafs defense is pretty shaky, but after adding top-pair defenseman Jake Muzzin at the trade deadline, they showed up the back end for goaltender Frederick Andersen. The other top defensive man for the Leafs, Morgan Rielly, is mostly offensive in his game, leading to a lot of odd man rushes for the other team. The Bruins should be able to pounce on Rielly’s aggressiveness. 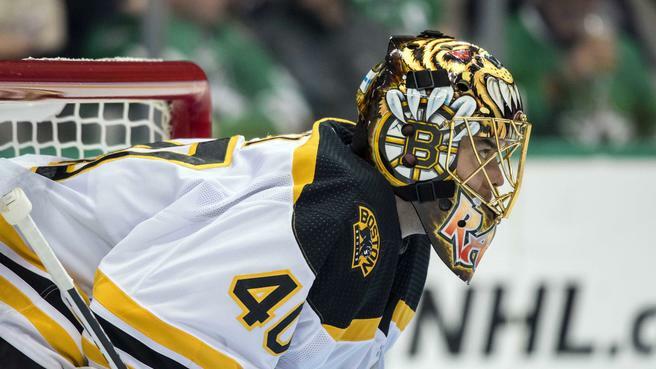 For the Bruins, Rask is a huge question mark. Besides maybe the Red Sox David Price or the Celtics Kyrie Irving, there may not able a more hated and loved player than him. The Stanley Cup collapse against the Chicago Blackhawks still rings fresh in the minds of many fans, and many detractors will point to a bad Tuukka game as proof that he is a terrible goalie. In reality, Rask ranked fourth in save percentage among qualified goalies and won 27 of the 45 games he’s played in. The postseason problem is true for Rask though, and he is likely to have a bad game or two against Toronto. It is inexcusable, but that is who Rask has always been. With the addition of backup goaltender Jaroslav Halák, Bruins coach Bruce Cassidy might lean to start him over Rask if Rask has one of his trademark stinkers against the Leafs. Halák is a clear upgrade over last year’s backup Anton Khudobin, so it is possible that Cassidy will not be afraid to pull Rask like he appeared to be afraid last year. On offense, the Bruins top line of Brad Marchand, David Krejci and David Pastrnak are all elite level shooters and can score from anywhere. Jake DeBrusk is having a breakout year on the second line, and he projects to be a 100 point player somewhere down the road. Patrice Bergeron is still the best two-way center in the game but other than that, there is not much. As aforementioned, the secondary scoring is better than last year, but it is still shaky. The Bruins added Marcus Johansson and Charlie Coyle at the trade deadline, but they are not anything flashy. Perhaps the atrocity of trading a first round pick for the corpse of Rick Nash left a bad taste in the Bruins mouths, but they barely upgraded their most glaring weakness. Defenseman Charlie McAvoy is still far too inconsistent, but he’s the top man along with Chara. The defense should be good enough, but Rask will have to be on top of his game.